By now you’ll know the answer to this new bit of online poker trivia. It’s the one that asks: What is the biggest overlay in the history of online poker? Yep. You got it. That’s right. It was us. Back in February we staged the Sunday Million Anniversary edition. It had a $10 million guarantee and $1 million for first place. It played out, and we paid out. And the overlay? In the region of $1.2 million. Put it down to our obsession with setting new records. But overlays are on us. Whether they happen or not, they don’t change the fact that it’s life changing money to the eventual winner. In this case Hulk9950, who banked $960,000 on the day and likely didn’t give two hoots about the white knuckles in the accounts department. The same will apply to the winner of the Sunday Million Anniversary Take 2. It’s our second attempt to mark the occasion of the Sunday Million’s 12th birthday, a do-over, taking place on Sunday April 22, 2018. It will look almost identical. Except, we hope, for the overlay. So, while we worry about the guarantee. You think about getting a seat and a shot at what will once more be life changing money. And as usual we’re making that as easy as possible. Satellites are already running in the PokerStars client, with buy-ins starting from as little as $2.20. There are also on demand satellites running around the clock. Pick a time that works for you and start playing. But there’s more than just an enormous prize pool. Winning the Sunday Million Anniversary Take 2 is not the only way to win life changing money. 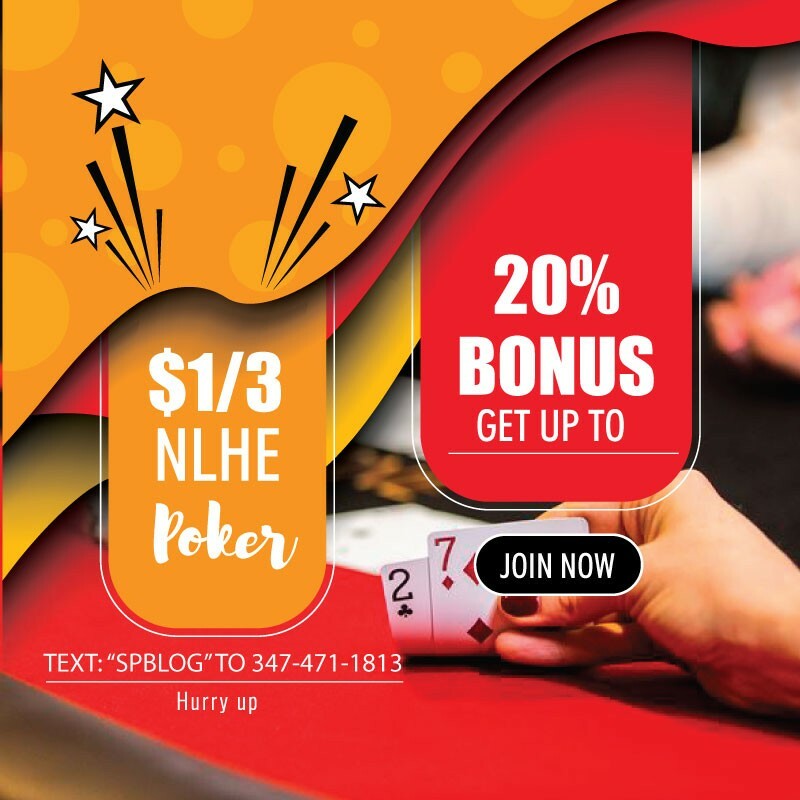 PokerStars is hosting some special Spin & Go events. For as little as $5 you could win $1 million in cash. There are also Sunday Million Anniversary seats, satellite tickets and cash prizes to be won. And yes, they’ll be Platinum Passes too. During late registration, a single table will be chosen from the field. The players at that table will then contest a single table tournament, with the winner receiving a Platinum Pass. The winner will be on their way to the PokerStars Players No-Limit Hold’em Championship in the Bahamas next January, with a Platinum Pass worth $30,000. 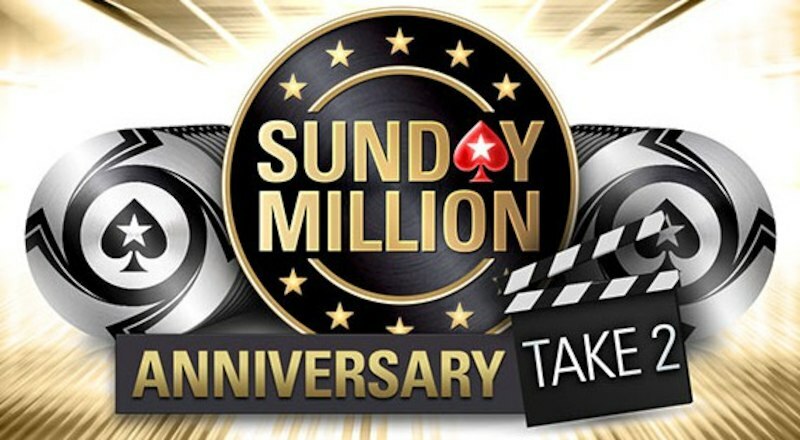 You can register to the Sunday Million Anniversary Take 2 directly by clicking here and selecting the Sunday Million tab. Make sure you register early to be in with a shot at that Platinum Pass. For everything else there’s the Sunday Million Anniversary Take 2 homepage. And who knows, you might come away with more than the answer to another trivia question.